Problems keeping the Commonwealth Games Ticket website offline continue as Ticketmaster experiences similar problems selling tickets for the 2015 Rugby World Cup. 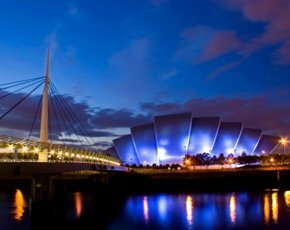 On Tuesday 13 May Glasgow 2014 oganisers instructed Ticketmaster, the official ticket agent, to take the website offline until problems are resolved. As a result of the Commonwealth Games ticketing problems, 500,000 tickets for the 2015 Rugby World Cup in England, that were due to go on sale today, have been put on hold as more testing is done. The Rugby World Cup is also using the service of Ticketmaster. On Thursday, when Computer Weekly spoke to a press contact for Glasgow 2014, she said there was no date set for the website to be back online. After contacting the press office, we were told that “there will be a statement put out later today". Glasgow 2014 ticket problems began on Monday when 100,000 extra tickets went on sale. Customers took to social media to air their grievances when some customers took as long as 24 hours to get tickets. On Tuesday, Glasgow 2014 CEO, David Grevemberg, said the site was taken down because organisers want “the purchase of Commonwealth Games tickets through the Ticketmaster system to be a positive experience for all customers". “At 5pm today (Tuesday 13 May) we instructed our Official Ticketing Agent Ticketmaster to close the Glasgow 2014 ticketing website and call centre until we can be assured that the technical issues being experienced by our ticket buyers over the last day and half are resolved to our satisfaction.” Over 55,000 tickets were sold quickly after the website went live on Monday 12 May.